Too many fantastic things to write about so I have decided to pick the top 5! 1. We have had the pleasure of the company of Livingston again, the teacher from GS Giterama, assisting and delivering sessions all day today. It is so helpful to have the support of both he and Jackson, our RCA representative, who can translate our English into Kinyarwanda for the kids. Livingston will be ‘officially’ trained at the CWB coaching course for teachers on Saturday and it is great to know there will be someone with his passion and enthusiasm to continue spreading cricket in Muhanga. 2. It was raining very heavily (and very cold!) 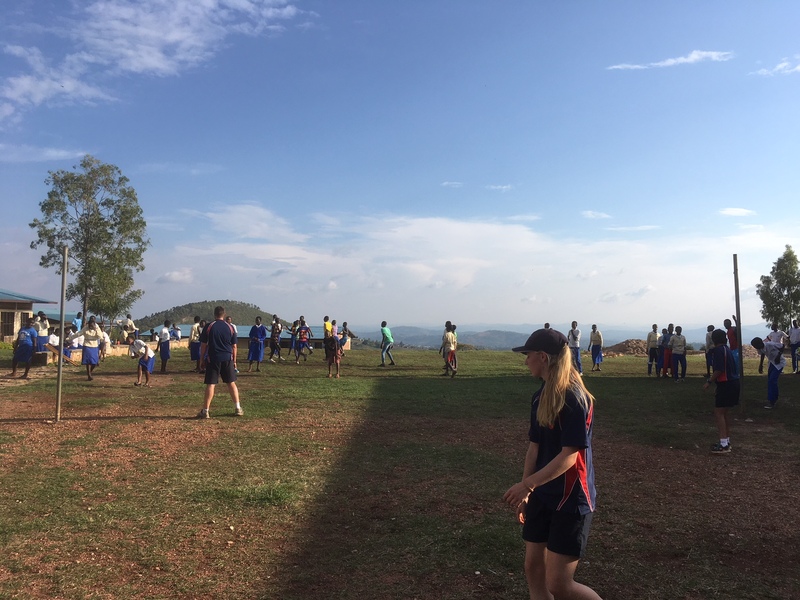 when we arrived at our second school of the day but we still ran an hour of games for the Primary children. 3. After our soaking we headed back to the hotel for a change of clothes and lunch. The waitress in our hotel has quickly picked up on my hot chocolate addiction so just put a jug of hot milk and tub of chocolate powder on my table! Meanwhile Livingston gave us a lesson in how a buffet plate should look. We are still unsure if he could see over his plate of food! 4. Our final school: Rosa Mystica; was my favourite of the trip so far. We were met at the gates by a sign that said ‘Inclusion’ and that is what we got! 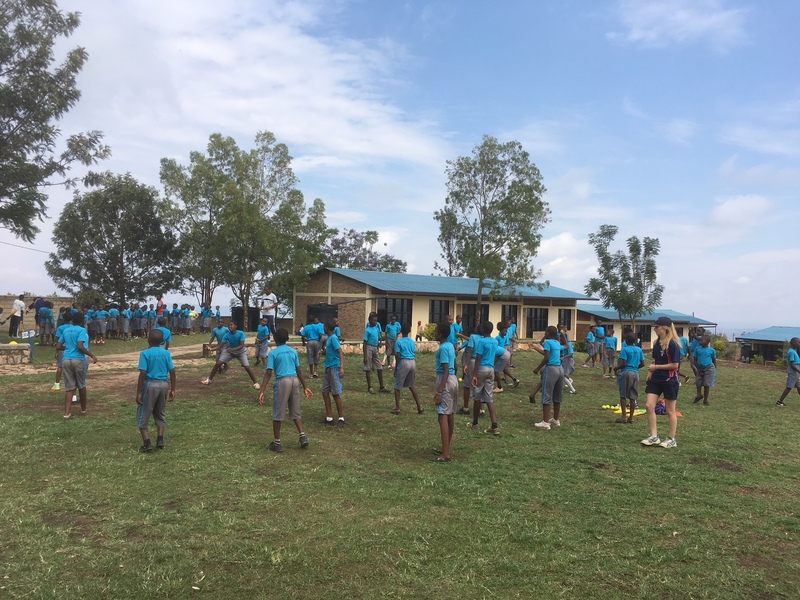 150 primary school girls and boys, all in identical pale blue, individually numbered t-shirts, were marched singing, dancing and clapping (obviously) into the ground for our session. 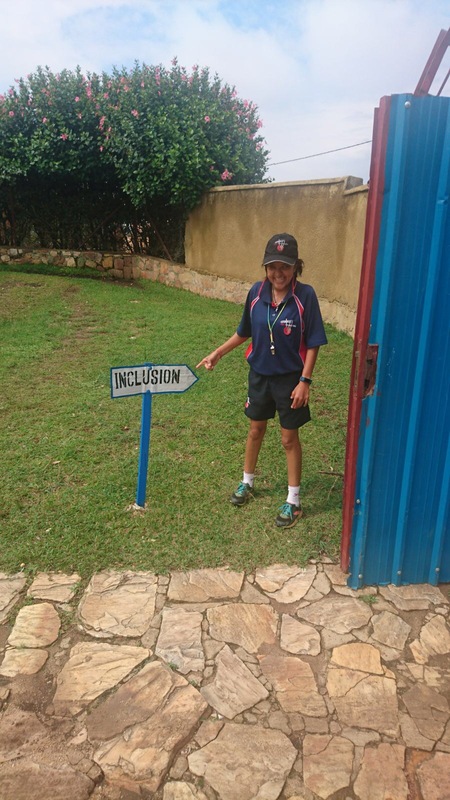 What made this school all the more rewarding was the inclusion, and in contrast to other schools we had been to, many children with a wide range of physical, learning and sensory impairments. We later found out from a conversation that Ryan had with a 16yr old senior school girl, that the Sister who runs the school does not turn away any child – those whose parents cannot afford or are not willing to pay for them to attend are still welcomed. 5. Rwandan schoolchildren seem to love singing and there is one song in particular I had enjoyed so much I asked Livingston to teach us it on the bus! There is a video of us all practicing which will make it to YouTube one day! Our final session of the day finished with us all singing this together with the kids. Previous Post Mr. Livingston I presume!